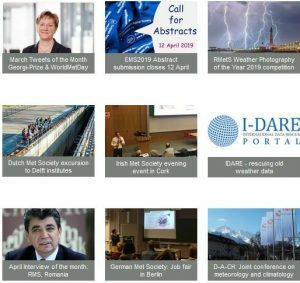 Jornades de Meteorologia Eduard Fontserè: Organisation of a yearly meeting with invited speakers and poster presentations; publication of a book with summaries of the presentations. Participation and support to seminars, exhibitions and other outreach activities related to meteorology. Publication jointly with the University of the Balearic Islands of the open-access journal Tethys http://www.tethys.cat. Co-organisation with the Tethys journal Editorial Board of the biennial International Conference on Meteorology and Climatology of the Mediterranean (MetMed).